Owning multiple businesses allows small business owners to maximise their customer base, geographical reach and potential earnings. Whilst it can be a difficult path with many challenges to overcome, it is certainly not impossible. Read further to discover 4 tips to take on board to ensure success in your multi-business venture. Moving from owning and operating a single business, to multiple locations means taking a step back from the day-to-day running. This can be difficult for many small business owners who have often built their business from the ground up. However, bringing in a great team of people to help with these activities will give you the confidence that your business is in good hands. Recruiting and maintaining quality talent is an investment in your business, but it can be difficult to find the right team. Ensure that you are asking the right questions to ensure that their personal goals align with the vision you have for your business, and boost retention by offering a competitive salary and maintaining a positive company culture. Looking at the sales data from each of your businesses is a great way to get a snapshot of their performance. Implementing software that allows you to access real-time data from each of your businesses means that you can stay abreast of their activities without having to be on site, and is an important tool for busy business owners. Applying similar systems to other aspects of your business such as staff management, rostering and stock management will also be beneficial if you need to work remotely. Keeping your bank balances happy when running multiple businesses can be tricky, but maintaining a healthy level of working capital will help avoid disaster. As with any business, emergencies can happen, and dealing with these can drain finances. 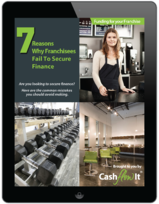 Ensuring that you have enough capital set aside to handle unexpected expenses across multiple locations is important, and will stop any bad habits of drawing money from one business to save another. A great way to manage this is by utilising outside sources of finance for things such as equipment and refurbishments, while retaining existing capital for business growth and marketing activities. This may seem like an obvious one, but time management skills will be vital to stay across the activities of each business. Ensuring that you are dedicating enough time to each location is important, as neglecting one for another could result in poor performance. Unfortunately, this is a common mistake among multi-business owners, when focusing on a challenge in one location, it is easy to forget about the activities of another. Prioritise projects and work on the most important ones first, and delegate tasks to your team where you can!